Why you should be concerned about your blood pressure? All of us keep hearing people talking about low BP/high BP at places around us like hospitals, clinics, grocery shops, neighborhood parks, etc. Our body requires regular pumping of blood to allow oxygen and food to reach different parts of our body so as to keep us alive. Our heart contributes to this process by pumping blood throughout the body at a defined pressure. We define this pressure as Blood Pressure. Its measurement, for example, looks like this (124/84 mmHg). Let’s have a look at what it really means/depicts. The first number is called systolic BP measurement (124) and is recorded when our heart contracts. Systolic number is the highest BP number. The second number is called diastolic BP measurement (84) and is recorded when our heart relaxes and fills blood into it to begin the never-ending process of contraction and relaxation again. Diastolic number is your lowest BP number. Measuring our blood pressure is vital for our health. We need to keep our blood pressure regulated well to ensure that we don’t experience any heart-related issues over time. Normal or healthy Blood Pressure – 120/80 mm Hg is considered the normal blood pressure. If you are not hypertensive yet, it would be helpful to find your normal blood pressure and keep a log of it. Elevated Blood Pressure – A systolic reading of 120 to 129 mm Hg and diastolic less than 80 mm Hg is usually not considered as high blood pressure. This may arise due to many clinical or other reasons like overworking, less sleep, stress, etc. Such elevated blood pressure may be easily reduced with lifestyle changes. Stage 1 High Blood Pressure (Pre-Hypertension) – 130 to 139 mm Hg systolic numbers and 80 to 89 mm Hg diastolic numbers is Stage 1 Hypertension. Making lifestyle modifications can help patients to get back to a normal level. Stage 2 High Blood Pressure – systolic number 140 mm Hg and above and diastolic number 90 mm Hg and above is the stage 2 High Blood Pressure. This needs to be closely monitored and medication should be taken. Make sure to keep your weekly and monthly average reading handy so that your physician is able to guide and prescribe you the right medication. Stage 3 High Blood Pressure – the systolic number above 180 mm Hg and the diastolic number over 120 mm Hg. It is very critical reading and hence is very dangerous for health. Fact: About half of the population who have high blood pressure don’t know that they have it. It is important for each one of us to know how we can handle hypertension and keep it under control. One of the best methods to manage it is to monitor it regularly at home. We all should monitor our blood pressure at home regularly to check how well are we doing in terms of our blood pressure management. Measuring our blood pressure can help us identify many points that define how well our body is responding to the treatment. Omron digital BP Monitors are one of the most credible and well-known contraptions to consider if you are keen to monitor BP at home. The monitors stand out from the rest owing to their high quality and precision. The Upper Arm Blood Pressure Monitor – You can use the cuff on the upper arm and take a reading of your blood pressure as directed. The newer versions have the wireless Bluetooth connecting ability too. The Wrist Blood Pressure Monitor – These are the ones where you need to wrap the cuff on the wrist. The latest version has Bluetooth connectivity too. 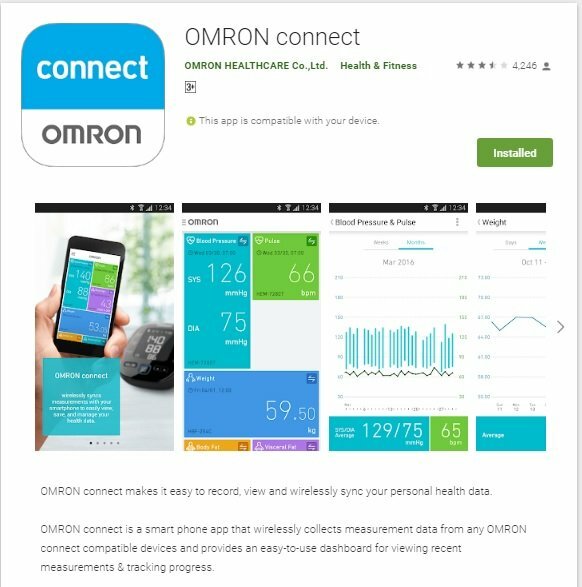 Omron has also introduced an app called Omron Connect (available in Google Play Store and Apple Store) which is very helpful to record the BP readings conveniently on your phone and keep your physician informed about your health. Furthermore, the Omron Connect App enable the users to connect BP Monitor with their smartphone and helps in recording BP readings on their phone. The app records readings over a defined period of time and through these readings one can monitor and manage the BP in a well-organized manner. You can also share these readings with your loved ones as well as your general physician through What’s App or mail, with just a simple click of a button. You can always keep your blood pressure healthy by regularly monitoring your BP through Omron BP monitors and following the above-mentioned tips. Let us solve BP problems with regular home monitoring along with regular medication and guidance as recommended by the physician. Next Who’s Your Audience – People or Search Engines?